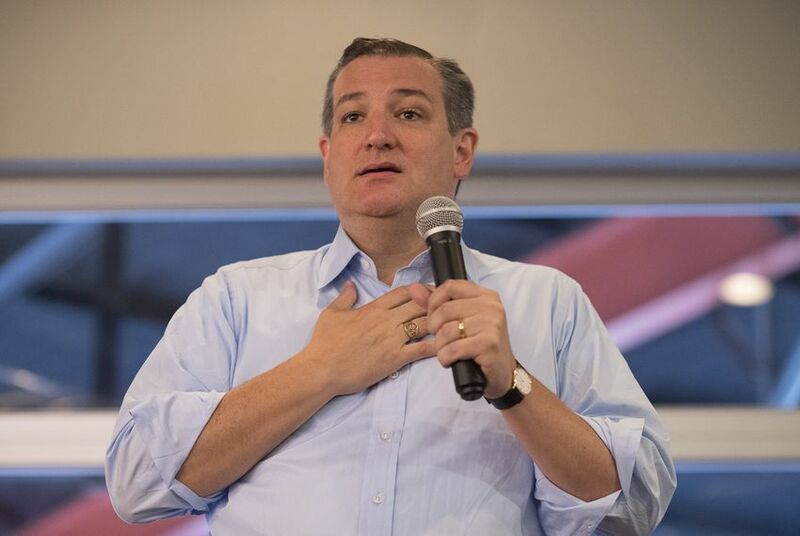 U.S. Sen. Ted Cruz, R-Texas, hit the campaign trail Saturday with amped-up warnings that his re-election is anything but a sure thing in November. The incumbent's comments came a day after Republican Gov. Greg Abbott brushed off assertions of a "blue wave." SMITHVILLE — As Ted Cruz took questions at a Republican women’s event here Saturday evening, Bastrop retiree Ronnie Ann Burt wanted to know: Should she really trust the growing barrage of chatter online that the senator’s re-election bid is in peril? “It’s clear we have a real and contested race where the margin is far too close for comfort,” said Cruz, who’s facing a vigorous, massively funded challenge from U.S. Rep. Beto O'Rourke, D-El Paso. The timing couldn’t have been more fitting: A trio of polls came out this week showing Cruz’s race tightening and a national political forecaster shifted the contest in O’Rourke’s favor. Meanwhile, Cruz launched his first TV ads Friday, including three targeting O'Rourke, and the challenger moved quickly to turn them into a fundraising boon for him. After the Resurgent conference, Cruz headed to a meeting with supporters and home school families in east Austin, where he continued to press the argument that the GOP base cannot take November for granted. Cruz said Travis County was the "base of the support" for O'Rourke but other "bright red" counties like Denton, Tarrant and Collin need to turn out hard as a counterweight. "There are a lot of good, strong conservatives [in Travis County] too — you're outnumbered, but it does make you sturdier when you're withstanding criticism and abuse," Cruz said. "What [Democrats] are doing is to find every liberal in the state of Texas and get them energized and get them to show up." “Texas is going to stay red,” said Abbott, whose Democratic opponent, Lupe Valdez, has not caught traction in the way O'Rourke has against Cruz. “They say there are two points that separate us, the campaign we’re running and Ted Cruz — two points is all we’re down right now,” O’Rourke said. “There are 94 days to go in this election. We can totally win this, but it is 100 percent on us."